When Jenny Zenner’s twin boys were babies, she wore the patch of carpet in front of their crib thin as she paced while using the breathing techniques from her mindfulness practice. To Zenner, it was a small, but real, sign of success. Six years later, Zenner continues to use mindfulness to try to be a better mother — it’s never a place she arrives at, but more of an ongoing journey with successes and challenges. This past holiday season, Fauss asked her to open up an ornament containing a note that read: “Mommy, I wish that you would be better.” Upon further discussion, she learned her son wished she would yell less. And don’t many of us want to yell less? Sure, we would like to keep the peace and to model good behavior for our kids (not to mention keep our blood pressure down). But increasingly, many families and experts feel that we need to become more mindful in order to strengthen something else that feels as though it’s taken a national beating lately: our empathy and compassion. If we were to give our own “state of the union” on American empathy, we might say it’s a bit sluggish. According to one recent review of an empathy and compassion standard assessment taken by 13,000 college students between 1979 and 2009, levels of compassion and empathy levels are lower now than at any time during the past 30 years. That doesn’t even take into account the bruising from this past political season, which definitely spilled over into our kids’ worlds as they watched parents and politicians speak and behave in an unprecedentedly rough way. Be really present; focus and tune in to your child. “Even 10 minutes can be really valuable for your relationship with your child, and can grow your compassion and understanding of where your child is right now,” Liliana Lengua says. Let kids lead if they try. Often kids bring ideas home from school, so if they start singing a breathing song or playing a relaxing game, join in. If your kid notices your feelings, including unpleasant ones, acknowledge it. Read. Start with The Mindful Child or Mindful Games by Susan Greenland. And check out a great book roundup. And a new global survey, led by William Chopik, an assistant professor of psychology at Michigan State University, found that while the United States ranks in the top 10 empathetic nations in the world, we aren’t number one (that distinction belongs to Ecuador). The U.S. is number seven. So, we could stand to become more compassionate. But what does mindfulness have to do with it? A study conducted at Northeastern University and published in 2013 in Psychological Science found that eight weeks of meditation proved enough to triple the likelihood of a person helping a stranger in distress, such as a person with an injured foot who had nowhere to sit. Once we are calmer, we can start viewing life experiences through a wider lens, says Susan Kaiser Greenland, a Los Angeles–based mindfulness and meditation teacher who developed Inner Kids, one of the first mindfulness programs in education, which began in 2001. “It can be helpful to think of mindfulness as a one-two punch. First, it can calm your nervous system when it’s in a reactive, inflexible mode,” Greenland says. Then, compassion is possible, she says. We can listen better, taking on new ideas while holding others’ needs within our thoughts. Zenner believes practicing mindfulness as a family has given her kids language regarding their emotions. “This sharing creates an opportunity for all of us to be accountable for our behaviors. Better yet, mindfulness shows us that we can change our behaviors,” she says. While mindfulness programs for students have been integrated into many schools, many experts feel it’s most effective to teach these practices to parents and teachers first. “I’m all for teaching kids how to regulate their emotions. But we need to think about systematic change, and that starts with us, not the kids,” says psychologist Mark. T. Greenberg, the Bennett Endowed Chair in Prevention Research at Penn State University. Greenberg cowrote one of the first social-emotional learning (SEL) curriculums, called PATHS (an acronym for “providing alternative thinking strategies”), in 1991 while he was a professor at the University of Washington. A 2014 study Greenberg worked on suggests even brief mindfulness training for parents may improve parent-child relationships. One group of the parent participants (all with children in sixth or seventh grade) completed a standard parenting program; another group received a version of the program that also included mindfulness practices; a third group had information on the program sent to their homes. Researchers wanted to know if adding mindfulness to the program would increase its improvement of family life. Parents learned how to do short reflections, how to listen more deeply and how to find compassion for themselves and their children. The mindfulness did enhance the effects of the parenting program. “The teens said it improved the warmth and communication, especially with their fathers but also with their mothers,” Greenberg says. Practicing mindfulness can help raise the number of best parenting moments and decrease the ones we are ashamed of, sad about or disappointed in. So, what does mindfulness actually mean? It’s not necessarily a two-week retreat sitting in silence (although a short sitting practice can work for parents and children, Greenberg says). Think simple, daily practices: having gratitude, setting intentions, taking deep breaths to reset yourself when you are emotionally aroused. “Practicing mindfulness can help raise the number of best parenting moments and decrease the ones we are ashamed of, sad about or disappointed in,” Lengua says. To that end, parents can take mindfulness classes at CCFW that teach stress management, self-compassion and compassion. Lengua says parents who’ve taken the classes, including a mindful parenting class she developed, can manage their stress and their emotions before they try to engage with their children; learn how to have more focused, quality time with their children; and enjoy the time with their children more. Another local mindfulness program is Listening Mothers, an eight-week program offered by the Community of Mindful Parents that helps mothers of new babies reduce stress and increase well-being. Natkin says modeling these practices isn’t about not making mistakes; it’s about making your mistakes visible, verbalizing your discomfort, and using tools to re-frame and calm yourself. Then you can finally fully let go of your 3 p.m. freak-out show. This verbalization of your techniques begins a shared family mindfulness language, too. The good news is, the more you practice, the less you flip your lid. For digital natives, mindfulness might be easier than ever now that tools are just a download away. Try free guided audio and video meditation sessions available from Mind Yeti, created by the nonprofit Committee for Children (CFC), which pioneered the widely used SEL curriculum Second Step. This spring, local digital product design agency Smashing Ideas plans to launch Mindful Powers, a mindfulness app for kids ages 6 and older. When the app’s Mindful Play session begins, the child’s virtual pet, called a Flibbertigibbet,” is in an agitated state. This character is in a 3-D space; the player rotates the body and smooths out all the angular facets with their finger to ease their Flibbertigibbet’s flustered mood. 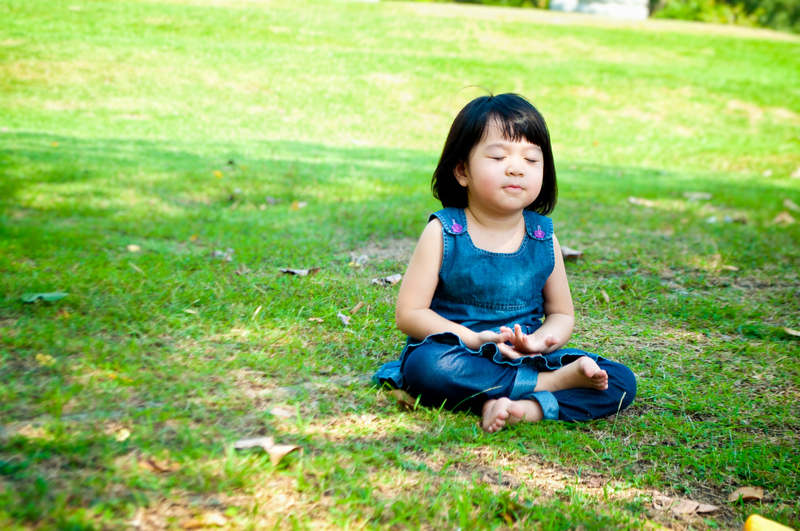 Once the child has soothed her or his pet, the app moves into the Mindful Play Meditation sessions. Kids learn how to master the powers of mindfulness through a progressive series of playful and easy-to-understand stories. “We hope their Flibbertigibbet pet brings them back to learn mindfulness techniques that will last their whole lives. Maybe these kids won’t remember this app 10 years from now, but hopefully these skills will stick,” says Barnes. It’s really counterintuitive for kids to sit still for five minutes, yet my most reluctant student was hooked after she practiced while sitting on the floor. Although a mindfulness curriculum might feel trendy, Greenberg points out that the SEL program he codeveloped has taught children worldwide to practice “doing turtle” for decades. When children are upset or anxious, they do turtle by taking long, deep breaths before they decide how to behave or respond. He feels that mindfulness activities can be important supplements to existing SEL programs, which many states, including Washington, now require districts to teach. “Through practicing mindfulness skills in a similar manner that kids practice math facts, students are learning to sharpen their ability to focus their attention,” says Greenberg. It even has the power to help us be nicer to each other, from the playground to the political arena. But not all SEL curricula focus on mindfulness, and, in fact, the two are very different things, says Arlen Levy, a mindfulness educator in Bellevue with Mindful Schools, a nonprofit founded in 2007 with online and in-person courses, content, and a network of mindful educators spanning all 50 states and more than 100 countries. For example, the popular RULER SEL curriculum used in Seattle and Bellevue public schools touches on mindfulness with its Mood Meter, which helps students tune into their feelings, but it doesn’t include deep student or teacher training in mindfulness. Many teachers are working to integrate mindfulness into their daily work. Kristyn Herrmann works to teach her students self-compassion and the realization that others feel the way they do during a daily 9:30 a.m. mindfulness session at TOPS K–8 School in Seattle’s Eastlake neighborhood. Herrmann, a third-grade teacher, was one of the first U.S. educators to pilot the Web-based mindfulness and meditation app Mind Yeti in 2015. After the kids meditate, they talk about whether they’re still mad or if they feel better, and what works or doesn’t work. Still, Herrmann admits she is the person perhaps most affected by Mind Yeti. Anxious and high-energy by nature, she feels grounded and has sought out more mindfulness techniques outside of classroom time. “[Students are] going to learn better if I’m the best, calmer version of myself than from the pulled-my-hair-out version of me,” says Herrmann. Her school’s 7:15 a.m. staff meetings begin with a mood check-in and meditation, too. She’s noticed that as staff members have increased their mindfulness modeling, students have been more willing to buy into this mind-set, too.